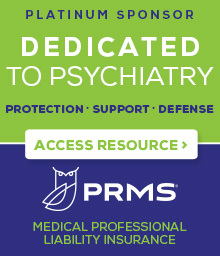 Under the Employee Retirement Income Security Act (ERISA) and the Mental Health Parity and Addiction Equity Act (MHPAEA), plan participants and providers are entitled to receive access to certain plan information, reasons for denial of coverage or benefits, and copies of the medical necessity criteria used to make benefit determinations. In order to facilitate these document requests, NYSPA has prepared form letters that can be used by psychiatrists and patients. Through document requests and sharing of materials, we hope to identify ongoing patterns and practices of discrimination, the next step in ensuring full enforcement of the parity laws. Patients may use this form letter to designate their psychiatrist as an authorized representative for the purposes of requesting access to certain plan documents, pursuing a benefit claim by requesting written notification of reason for denial and/or pursuing appeal of an adverse benefit determination. Patients and/or providers may use this form letter to request access to a broad array of plan documents, that is, all "instruments under which a health plan is established or operated." Under ERISA, individuals can request copies of plan documents that pertain to both medical/surgical and MH/SUD benefits. Under MHPAEA, individuals can request copies of medical necessity criteria used by a plan to make determinations regarding MH/SUD benefits only. In order to assist individuals in gaining access to the most clinically relevant information maintained by the plan, the MHPAEA request is tailored to a particular illness or condition, based upon the patient's current diagnosis or diagnoses. Form Letter B may be tailored for use by either the patient or by a provider who has been designated by the patient as an authorized representative. If the letter is sent by a provider, it must be accompanied by Form Letter A, signed by the patient. This form letter is to be used only in connection with individual health plans or Affordable Care Act exchange plans. The patient or family member of a patient may use this form letter to request copies of the medical necessity criteria used by their plan to make determinations regarding behavioral health benefits. In order to assist individuals in gaining access to the most clinically relevant information maintained by the plan, this form letter focuses on medical necessity criteria for a particular illness or condition, based upon the patient's current diagnosis or diagnoses. This form letter is to be used only in connection with individual health plans or Affordable Care Act exchange plans. Current or potential contracting providers may use this letter to request copies of the medical necessity criteria used by a plan to make determinations regarding behavioral health benefits. In order to assist individuals in gaining access to the most clinically relevant information maintained by the plan, this form letter focuses on medical necessity criteria for a particular illness or condition, based upon the patient's current diagnosis or diagnoses. Following a denial of benefits or other adverse action, psychiatrists may use this letter to request from the plan a written explanation of the reason for the adverse action. If the letter is sent by a provider, it must be accompanied by Form Letter A, signed by the patient. For additional information, please refer to the NYSPA Parity Enforcement Webinar (below) originally broadcast on May 6, 2015. 2015-05-06 20.00 Parity Enforcement from Donna Gajda on Vimeo. The power point presentation can be accessed here.